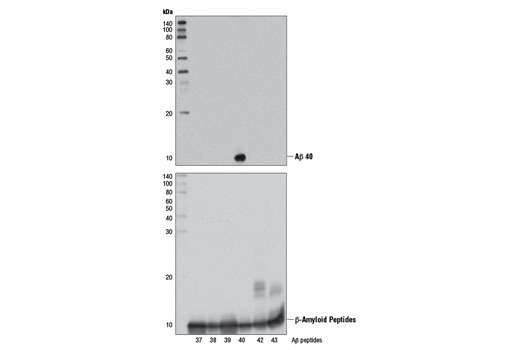 β-Amyloid (1-40 Specific) (D8Q7I) Rabbit mAb recognizes the Aβ-40 isoform of the β-amyloid peptides. 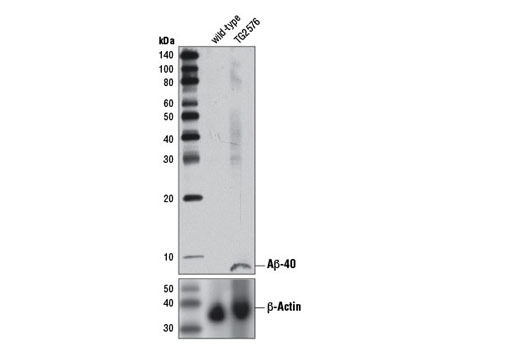 This antibody does not cross-react with other β-amyloid peptides. 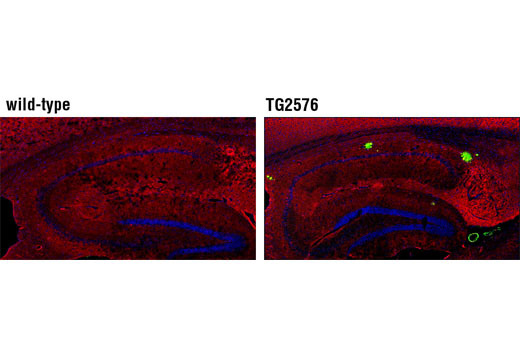 Monoclonal antibody is produced by immunizing animals with a synthetic peptide corresponding to residues at the carboxy terminus of human β-amyloid (1-40) peptide.